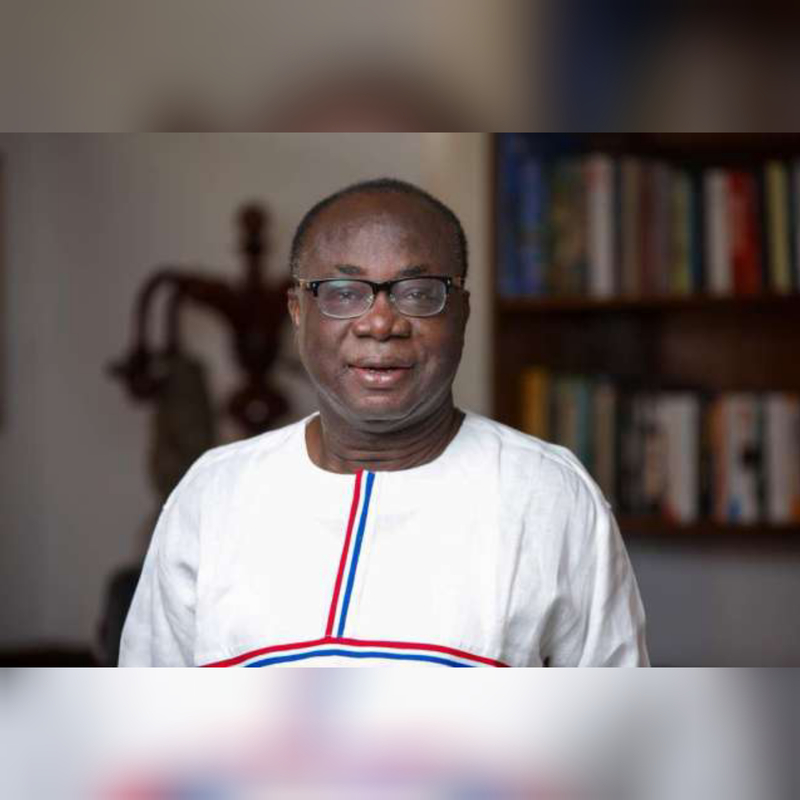 Acting National Chairman of the governing New Patriotic Party (NPP), Freddie Blay, has emerged the winner in the keenly contested national chairmanship race of the party. Freddie Blay polled 3,021 votes as against his closest contenders; Stephen Ntim and Dr. Richard Amoako Baah who had 2,515 and 18 votes respectively. This is the fourth attempt for Mr. Stephen Ntim in his quest to lead the party. Ahead of the conference, Freddie Blay was widely criticized for personally procuring some 275 buses for all NPP constituency offices across the country. The issue had generated controversy with the opposition political parties and civil society organizations, including his closest contender, Stephen Ntim describing it as vote-buying. According to reports, Mr. Blay as a guarantor, paid 3 million dollars which constitutes 30% of the total cost of 11.4 million dollars, and has taken delivery of the first 100 minibuses. Freddie Blay’s spokesperson, Richard Nyamah, subsequently explained that Freddie Blay contracted a loan facility from the Universal Merchant Ban (UMB) to procure the 275 buses, and that the constituencies will pay for the bus over a two-year period. Amid the allegations of vote buying, Richard Nyamah has revealed that the New Patriotic Party (NPP) was behind the acting Chairman’s decision to purchase a bus for each of the party’s 275 constituencies. Meanwhile, the Special Prosecutor, Martin Amidu, is investigating Freddie Blay on how he funded the purchase of 275 buses for all 275 constituencies of the party. A source at the Office of the Special Prosecutor told Citi News that Mr. Amidu will go ahead with the investigations whether or not Mr. Blay wins this Saturday’s election. The source said Mr. Martin Amidu is of the view that, Mr. Blay is a public officer as a Board Chairman of the Ghana National Petroleum Corporation (GNPC), and also as a national officer of the governing party with influence, he falls under the Criminal offenses Act (1960) Act 29, and must therefore be questioned on his source of funding. How was Freddie Blay appointed acting Chairman? Freddie Blay was appointed as acting National Chairman of the party after Paul Afoko was suspended in 2016. Paul Afoko was suspended indefinitely alongside the then National Vice Chairman of the party, Sammy Crabbe and General Secretary, Kwabena Agyepong for “misconduct” which included a disregard for party structures. Mr. Afoko and Mr. Crabbe subsequently challenged the suspension, but both the cases were thrown out by the court. Freddie Blay has been serving as the acting National Chairman of the NPP since 2016 when Paul Afoko was removed. Mr. Blay, a lawyer and businessman served as a Member of Parliament under the Kufuor government on the ticket of the Convention People’s Party (CPP). After losing his seat in 2012, he resigned from the CPP to join the NPP after being criticized by some CPP stalwarts for not campaigning for their 2008 Flagbearer, Paa Kwesi Nduom. He chose to instead endorse the then NPP presidential candidate, Nana Akufo Addo. About 6,000 delegates of the party gathered at the campus of the Koforidua Technical University for the election that election Mr. Blay and other new executives. Nearly every key member of the party who matters, including the President, his Vice, former President John Agyekum Kufuor, ministers of state and members of parliament attended the conference.